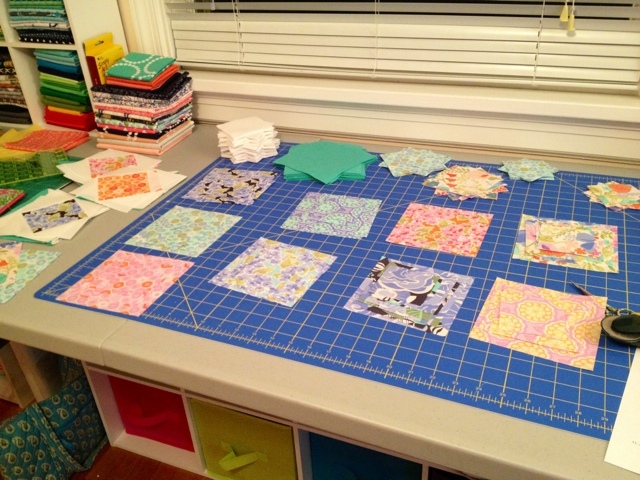 Tales of Ineptitude: Quilt Factory.... except not really. *If you're visiting from Finish it Up Friday, this post is more about me finishing with being lazy than finishing an actual project. If you want a REAL finish, check this out, which didn't make it under the wire for last week's link up! I was off for a few days and I got trucking with Honey Honey. Last time I checked in, I had cut all the fabric for the quilt. At once. I'm re-instituting the plate method for this one. It makes it really easy to sort things out, especially when working on a bunch of blocks at once. This method with paper plates is ingenious, better than keeping things in plastic bags; I hope to remember it next time when I need it. That hexagon print of Kate Spain is beautiful. I have to buy it! "Chain peicing like a BOSS" Should be on a tee shirt! Too cute! 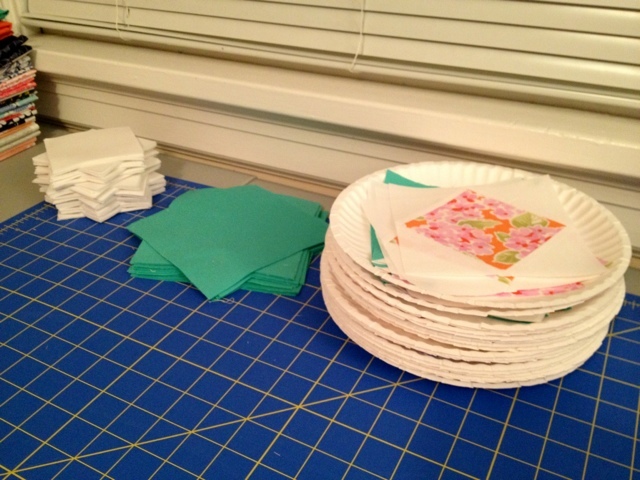 Love the paper plate idea - I am going to use that the next time I have a big project. Love your fabric choices as well - very fun and springy! Thanks for the plate inspiration! Great idea with the plates. Somehow a stack of them sneaked into my sewing room. Maybe they were just lying in wait until I was inspired how best to use them. 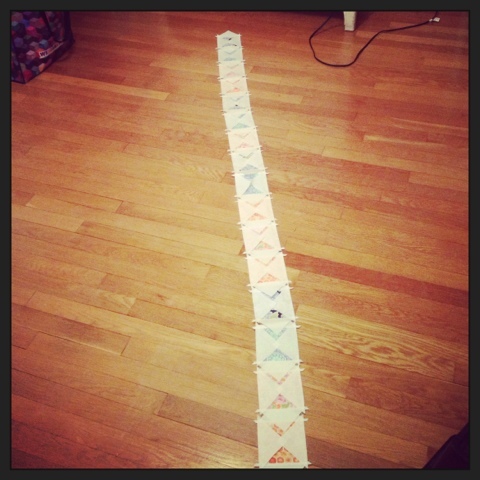 Chain piecing like a boss cracked me up. Beautiful fabrics! Can't wait to see what they turn into! Using the plates is a great idea!